I pull over near this small joint on the highway to Nashik. Just before I step out of my vehicle, there is a curious bunch of people looking at my SUV. In a matter of seconds, all of them surround and quiz me with a number of questions. "How does it feel to drive?" "What are the changes?" "How much does it cost on road?" "Have they started deliveries?" That's the appeal of the Mahindra XUV500 in India. 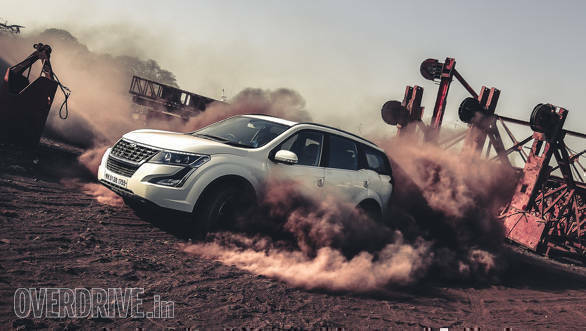 Even after being around for seven long years and (and not receiving substantial change to the overall design and features), the Mahindra XUV500 has been one of the most popular SUVs sold in India. 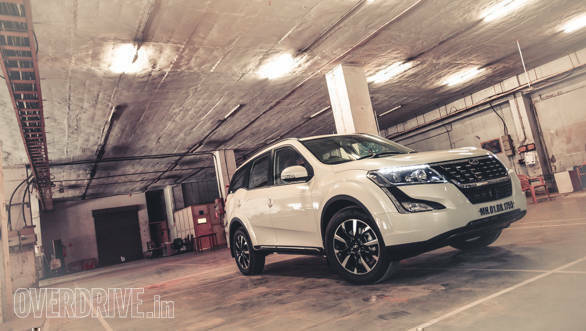 However, there is a new crop of SUVs that have been launched and are slowly gaining popularity. How does Mahindra tackle that? 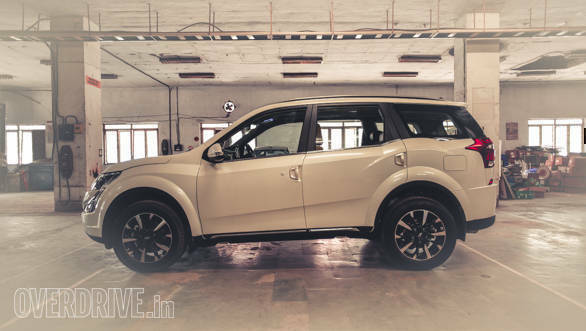 The 2018 Mahindra XUV500 is here, with an updated design, a plusher feel and a more powerful engine. 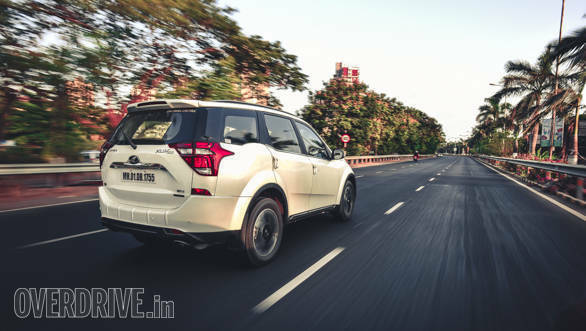 The changes to the 2018 Mahindra XUV500 sports over the previous model don't make it strikingly different in a passing glance. It is only when you close in on the front profile, you would notice the updated headlight assembly that now has the DRLs positioned on the top, instead of flowing across the unit. The major update is the new and larger piano-finished grille with chrome inserts and a chrome surround that makes the front look a tad larger than before. The fog lamp housing too has received an update, however, the front bumper design remains untouched. The sides get a sprinkling of chrome on the door sills. However, it is the new 18-inch alloy wheels on the top-spec W11 (O) variant (replacing the 17-inch wheels) that get one's attention. The larger tyres with diamond cut alloys fill the wheel well impressively and also give the side profile a stylish touch. 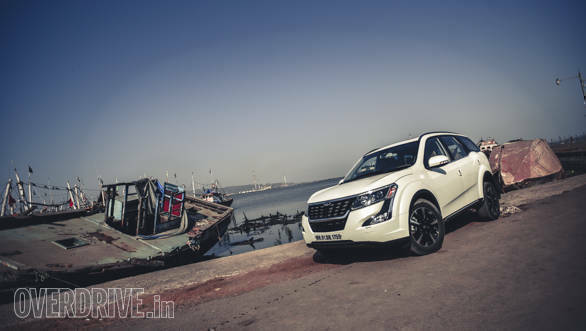 Typically, facelifts have the front end of a vehicle receive majority of the changes, but in the case of the 2018 Mahindra XUV500 it is the rear that has received a more comprehensive update. When I first saw images of the rear end of the updated XUV500, it didn't strike the right chord. But the story is not the same when you see the 2018 iteration in flesh. The tailgate has been completely redesigned and so have the lights. The new and larger lights flow in on the tailgate. The rear number plate area also gets a solid chrome highlight. And then there is also the new roof mounted spoiler. When viewed from the rear quarter you realise the updates have actually made the new Mahindra XUV500 a lot smarter than before. 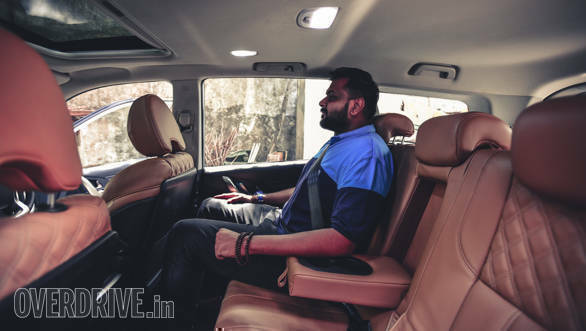 The first thing you notice inside the 2018 Mahindra XUV500 are the quilted tan leather seats that look more upmarket than the older ones. They look just fine but are not very comfortable on longer journeys, something I experienced when driving on the highway. The front seats could have done with more cushioning, especially in the centre of the seatback. While it does have manual lumbar support adjustment, the front seats are still not very accommodating. In the case of the second row, the seats could have been more comfortable as well and offered more cushioning. 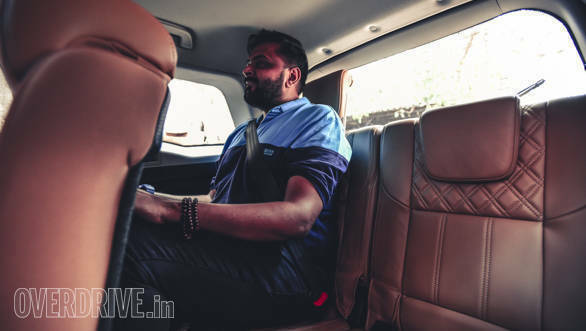 While that might be a bit of a mood spoiler, it is the generous amounts of headroom and legroom in the Mahindra XUV500 that have always impressed. The third row is essentially for children or luggage. I did try to squeeze myself in, but realised I could not be there for long. The steering and the overall dashboard design is untouched but the upper portion of the dash sports black faux-leather inserts with white stitching now, giving it a soft touch feel. 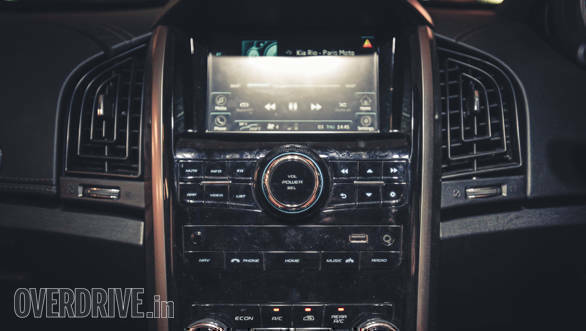 The instrument cluster design has not been changed either and looks dated now  in my opinion Mahindra should have taken the opportunity to revise its design. The centre console has a piano black finish which has its pros and cons. It has replaced the plastic-y finish on the switches and also looks more premium but the glossy surface attracts dirt quite easily. While I can still live with that, what bothered me the most are the array of buttons on the central console. Something that might come in handy in a James Bond car. And the fact that the functions of all these buttons can be accessed on the touchscreen unit, makes them redundant. I also wish the labels were bigger as they are not easy to read. 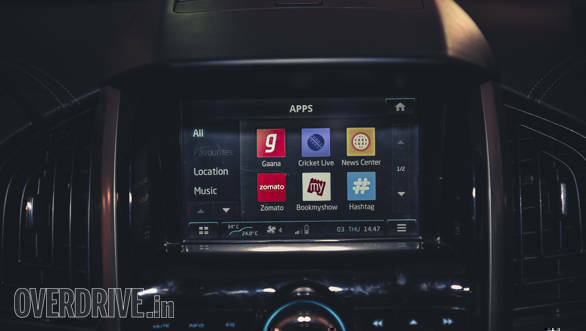 The infotainment system comes with new applications for entertainment or even ordering food! There is also a new smartwatch app that lets you control AC temperature, choose audio source and also view tyre pressure and fuel information. Another update is the Arkamys tuned music system. That said, I was hoping for a better acoustic experience from the system. Since this is a facelift, the dimensions inside-out remains unchanged. There's tons of useful storage spaces on the dashboard, between the front seats, the door trims and also the generous boot space that can easily swallow almost everything thrown at it. 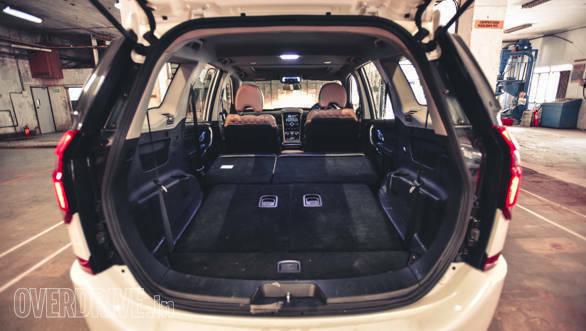 Mahindra XUV500's generous bootspace will take in almost everything possible. 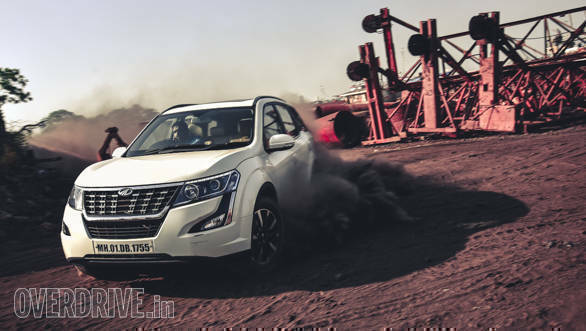 The 2018 Mahindra XUV500 is available with petrol and diesel engines both. The 2,179cc diesel engine is the same as before but has received a host of updates and is more powerful now. In its updated form, the diesel engine (codenamed mHawk155) makes 155PS at 3,750rpm and generates 360 Nm from 1,750 to 2,800rpm, an improvement of 15PS and 30Nm. This has been achieved with the use of the sixth-gen electronically controlled eVGT (electronically controlled variable geometry turbocharger) instead of the older pneumatically operated unit. The engine feels quicker to respond, especially at lower engine speeds. The XUV500 managed a 0-100kmph time of 12.6s which is decent for an SUV weighing over 2 tonnes. The improved performance comes in handy when driving in traffic. The power boost comes before 2,000rpm and stays strong till 4,000 rpm. The engine is more audible at low revs, but gets quieter as it build revs. That said, open highways are where the XUV500's engine breathes freely and offers its full wealth. Open highways are where the XUV500's engine breathes freely and offers its full wealth. 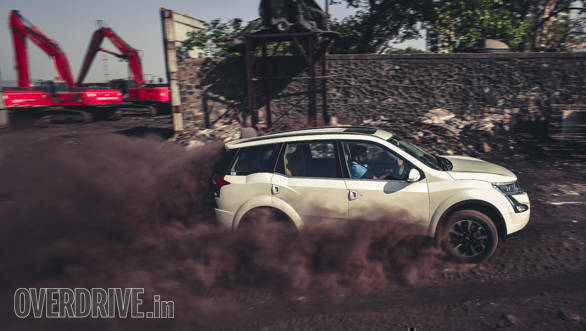 The diesel engine equipped Mahindra XUV500 is available with either a 6-speed manual or a 6-speed automatic. Our test vehicle came equipped with the latter and the Aisin-sourced automatic transmission is quick to respond, especially when it comes to kick-down acceleration at higher speeds. This, we believe has been done to aid fuel efficiency. The Mahindra XUV500 automatic delivered 9.7kmpl in the city and 11.1kmpl on the highways in our tests. 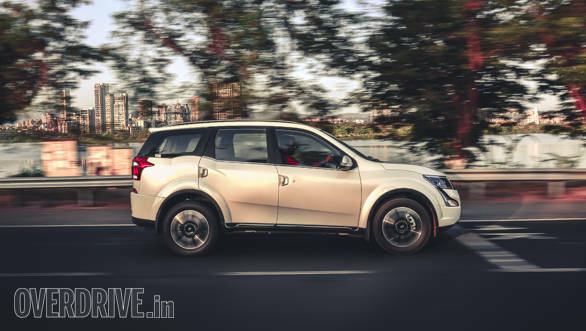 The Mahindra XUV500 continues to be offered in two drivetrains, the 2WD and the Borg Warner-developed AWD. Despite its large dimensions, the Mahindra XUV500 is relatively easy to maneouvre in city, though I wish the steering felt more direct. Driving aids like parking sensors and reverse camera come in handy when you are parking at say an ATM or in a mall. It comes equipped with McPherson struts upfront and multi-link type suspension at the rear. The 18-inch wheels on the top-spec variant we tested have helped in improving the ride quality a wee bit better over potholes and speed breakers. The suspension setup feels firm on the whole and makes for a slightly choppy ride on uneven sections on highways. 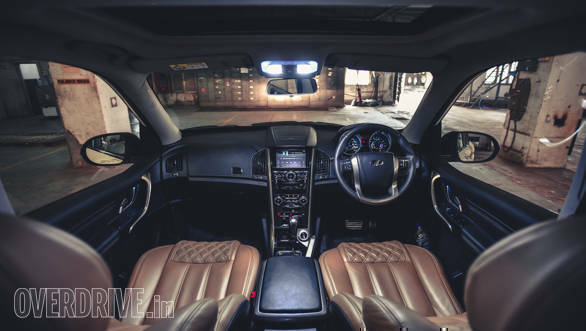 In terms of safety, the 2018 Mahindra XUV500 comes equipped with disc brakes all-round, dual-airbags and ABS with EBD as standard, while the top, W11 variant boasts six airbags. The 18-inch wheels on the top-spec variant we tested have helped in improving the ride quality a wee bit better over potholes and speed breakers. 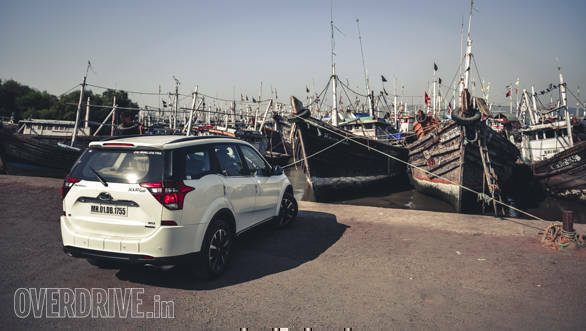 The 2018 Mahindra XUV500 is priced between Rs 12.32 lakhs and Rs 18.98 lakh for the diesel models and Rs 15.43 lakh for the lone petrol automatic model, all prices ex-showroom Mumbai. The cosmetic changes have given the XUV500 a much-needed refresh, but that does not look too distinct when compared to the previous update. And we believe this has been done intentionally. 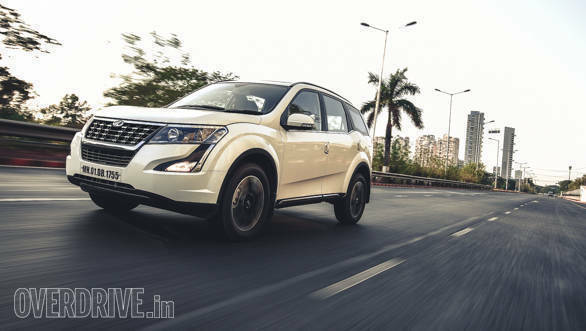 The minimal changes to the new XUV500 ensure it competes with its rivals strongly but at the same time also slots in below the soon to be launched flagship SUV from Mahindra, which will be a rebranded version of the Ssangyong G4 Rexton sold internationally.